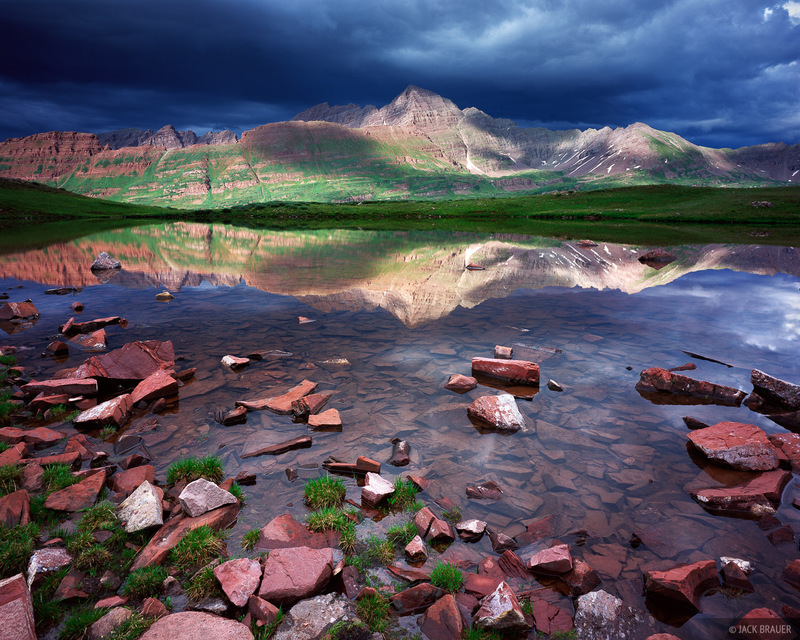 Afternoon sunlight beams on the Maroon Bells fourteeners, as seen from high in Fravert Basin - July. The dark storm clouds were starting to rumble, so immediately after taking this picture, I packed up my gear as quickly as possible and ran a half mile to the shelter of the nearest trees. The next three or four hours were spent inside the tent listening (and feeling) the cracking booms of lightning and thunder. Photo © copyright by Jack Brauer.